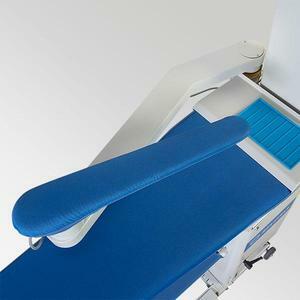 Pressing on a regular ironing board eventually leads to a damp ironing surface, making it impossible to get a clean, crisp finish for your garments. 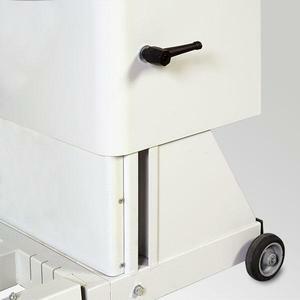 The 724HAB with vacuum and up-air provides the tools that professionals count on. Pressing dimensions 47" x 13.8"
Product dimensions 64" x 25" x 64"
Shipping dimensions 69" x 28" x 44"
ADJUSTABLE HEIGHT Adjust the height of the 724HAB to the exact requirements of the operator. 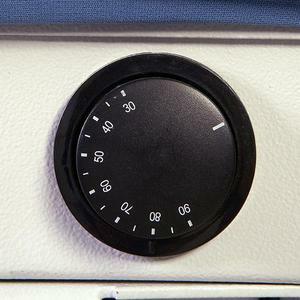 Two locking mechanisms (one on each side) allow the spring loaded setting to be easily changed in a matter of seconds. 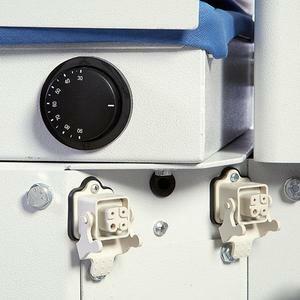 AIR TRANSFER SWITCH When the swing arm and buck are brought forward, an electro-magnetic switch activates a DC motor that transfers the vacuum or blowing function to the swing arm and buck. 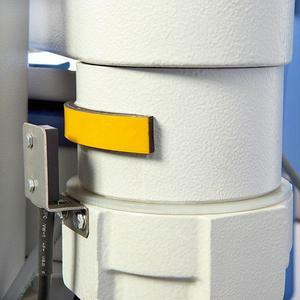 ERGONOMIC CURVED ARM To assist the operator in using the swing arm and sleeve buck, the arm has been designed with a curve to make it easier to use and more accessible. 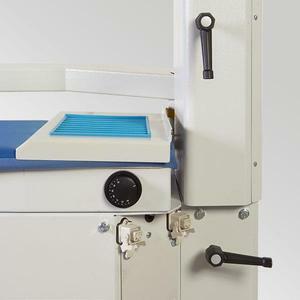 HEATING ELEMENTS The 700 series is equipped with heating elements on all pressing surfaces and on the 724HAB the receptacles are placed on both sides of the machine to accomodate left or right handed set-up. 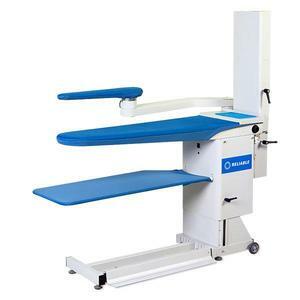 EASY TRANSPORTATION The 700 series tables are equipped with wheels to allow for easy manoeuvring of the machine. 2-POSITION ADJUSTABLE PEDALS The two pedal system on the 724HAB allows for complete control of the vacuum and up-air. 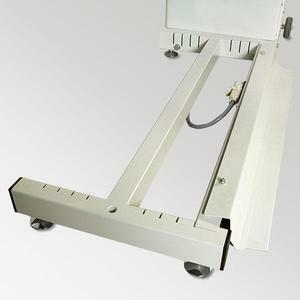 The pedals can also be located in different positions to allow for the maximum comfort of the operator. 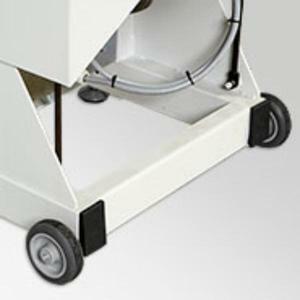 AIR FLOW ADJUSTMENT Levers to adjust both the vacuum and the up-air volume are conveniently located on the machine.